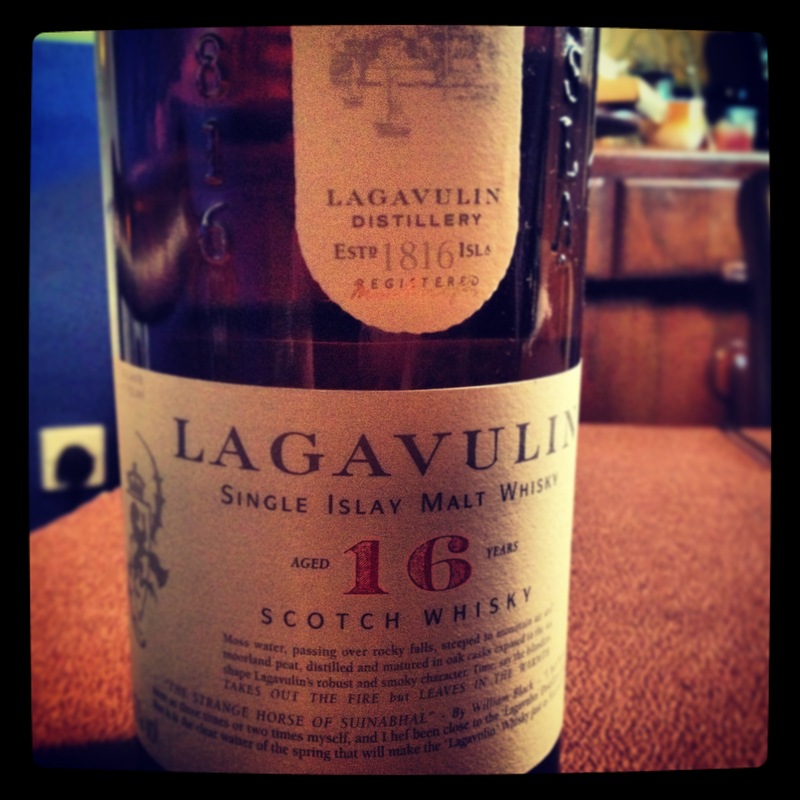 A well-known Scottish whisky that springs to mind when you talk about the Islands is Lagavulin. This is also a brand that has got a fantastic range, but more on the exclusive side. So why the limitations? The distillery of Lagavulin officially dates from 1816, when two gentleman going by the names of John Jonston and Archibald Campbell constructed two distilleries on the site. Records show illicit distillation in at least ten illegal distilleries on the site as far back as 1742 but by the 1830’s only two distilleries remained in the bay – Lagavulin and Ardmore (although this has nothing to do with its namesake, as far as I can tell). In 1837 these distilleries amalgamated to form Lagavulin. At this stage the distillery was under the ownership of the Graham brothers and James Logan Mackie. In the 19th century, several legal battles ensued with their neighbour Laphroaig, brought about after the distiller at Lagavulin, Sir Peter Mackie, leased the Laphroaig distillery. It is said that Mackie attempted to copy Laphroaig’s style. Since the water and peat at Lagavulin’s premises was different from that at Laphroaig’s, the result was different. Lagavulin was the best-selling Islay single malt scotch until 1998, when it was overtaken by the neighbouring Laphroaig. Its slight demise can be factored towards the fact that Lagavulin is currently experiencing problems in meeting whisky demands. The recent difficulties stem from a few decades when working conditions were decidedly lax; a two day working week led to very low production and it was not until 1981 that a five day week was finally instated. This could be a major fact in the lack of a more regular and widely seen portfolio. Lagavilin is created in the traditional way too, but at a much slower rate. The barley used to distil Lagavulin is malted at nearby Port Ellen and has perhaps twenty times as much exposure to peat smoke as a typical Speyside such as Cragganmore. Fermentation of the barley is a slow process where between 55 and 75 hours are taken. The four stills at Lagavulin, two of them pear-shaped, follow the original practice of the slowest distillation of any Islay malt – around five hours for the first distillation and more than nine hours for the second. Heavy peat on the nose with whispers of smoke and iodine. Very rich on the palate with the peat bursting several times. Slightly dry, with a biscuit malt, subtle spices and a long lingering finish. A distillers edition ad 12yr cask strength are the two other more common varieties, but if you ever see Lagavulin behind a bar, or indeed someone’s drinks cabinet, your more than likely going to encounter the 16yr, and if you do you’ll experience something fantastic.